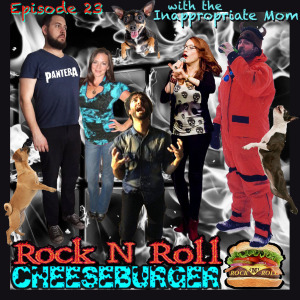 Nic “Inappropriate Mom” Fit75 joins us in Burgerville for our Episode 23 twitter party. 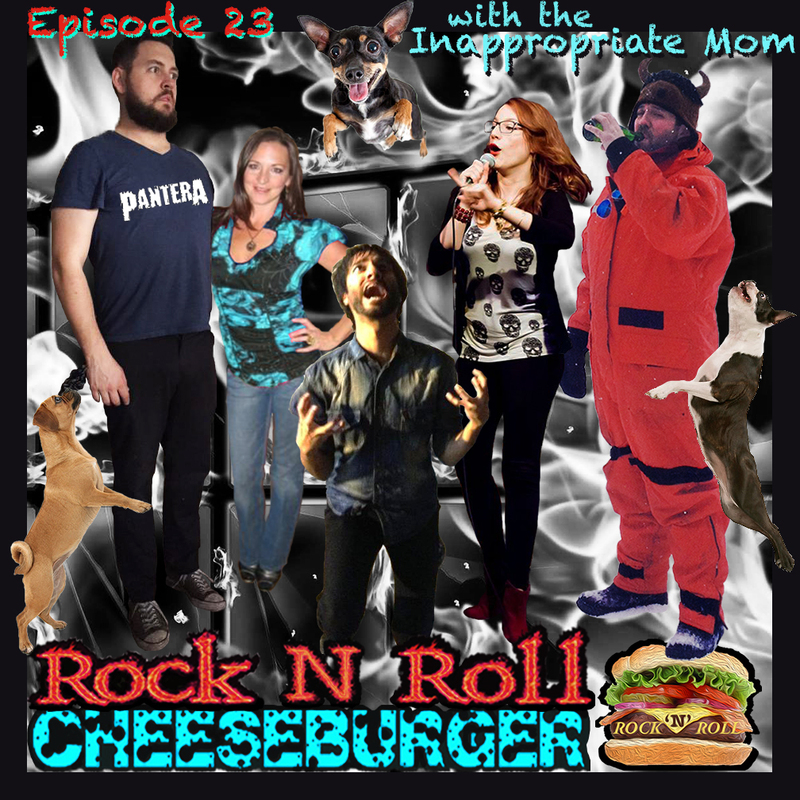 Rock N Roll Cheeseburger Episode 23! We’ve got twitter’s Inappropriate Mom this week! Nic (@nicfit75) gets inappropriate with our round-table discussions, as we talk: Online Dating, Dog Parks, Friend Boundaries, and Bar Fights. Our stereotype-laden fake sponsor this week is Don’s Gay Apparel! And we rock super heavy rock jamz with #RRCB favorite Monolord‘s “Audhumbla”, and also 1980s-90s metalheads’ favorite Pantera‘s “War Nerve”. Our sketch this week features the vocal hilarity of Jared Quay Campbell as heard in Rock N Roll Cheeseburger Episode 5, as he commentates on NicFit75’s Twitter Court. And, before we go, Nic gives us Christmas in March!